The Driver Ball Speed Wars! 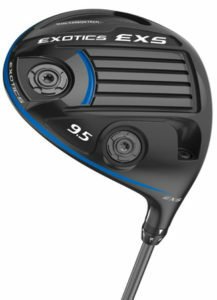 It’s all about driver ball speed these days if you listen to the manufacturers. Hotter, faster is the mantra. Well of course…nobody wants more forgiveness without more distance! But every manufacturer is claiming significant increases in ball speed? So how are the manufacturer’s getting more ball speed without breaking the USGA legal limits? First of all, the interesting thing about the amazing gains in ball speed is that the measurement of the USGA legal limit has changed! It actually changed a couple of years ago from COR (Coefficient of Restitution) to CT (Contact Time). See my in-depth article on the driver performance here. Since the measurement has changed to CT, a “conforming” driver today may have a COR of .85 or higher…meaning more ball speed. The CT test is much easier and less expensive to conduct so the manufacturers can now test drivers before they leave the factory to make sure that the drivers are conforming. This saves a lot of angst for the manufacturers so they do not have to ship back drivers that are tested in the field and deemed non-conforming. COBRA was the first to CNC mill the faces of their drivers at the factory to make sure that they are consistent. This is far more consistent than hand grinding. TaylorMade is the first to now adjust their drivers to the exact legal limit at the factory. Callaway is using artificial intelligence to design the faces of their drivers for typical performance of the golfers in their test group. Don’t be surprised to see “customized” face designs based upon your unique impact area on the face! So Which is the Hottest Driver? Today’s drivers are so close to the legal limits that it is really about getting the right loft, shaft flex, shaft weight and shaft profile to optimize your performance. The most important factor in a driver fitting is the efficiency of the head, the Smash Factor (Ball Speed divided by Club Speed). That determines how hot the head is, if you are hitting the club in the sweet spot , and how well the shaft is delivering your energy to the ball. With a proper fitting, Smash Factors can be consistently in the 1.50 range with a few a little higher. Anything under that means you are giving up distance (See my blog on hitting the sweet spot). EVERY driver we have tested is at least 1.46 smash factor with the proper shaft. The best so far are 1.48-1.50 consistently…more to come! And some shafts do actually improve club speed! The TPT shafts and Fujikura Evolution Speeders and ATMOS shafts with H.I.T technology can give you 1-2 mph more club speed. 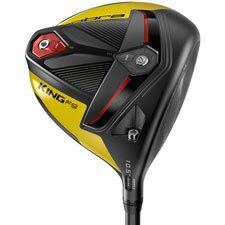 Do Different Driver Models Make a Difference? In most cases, a company will have a “forgiving” driver head that will have more forgiveness (higher MOI) but may launch higher and spin marginally more. A good case in point is the Srixon Z585 that launches higher and spins a little more than the Srixon Z785. Same with the PXG 0811XF Gen2 versus the PXG 0811X Gen2. This means you may lose a little distance but the Smash Factor will be almost identical. What I find interesting is what I call the “soft” side of fitting. The look, sound and feel of the club is VERY important. Do you like a matte or glossy finish on the top of the head? Do those wavy “turbulator” things on top distract you? Is green and yellow your favorite color or not? Believe it or not, these things do make a difference. If the driver does not look good, sound good, or feel good in your hands, you probably will not hit it very well. And Our Top Picks So Far Are??? Now, honestly, we have not tested all of these in our fitting studios, but we did test them in demo clubs and we liked the performance in stock shafts. Of course, with a shaft more precisely matched to your swing, you will get better performance. Stay tuned for our future test results!